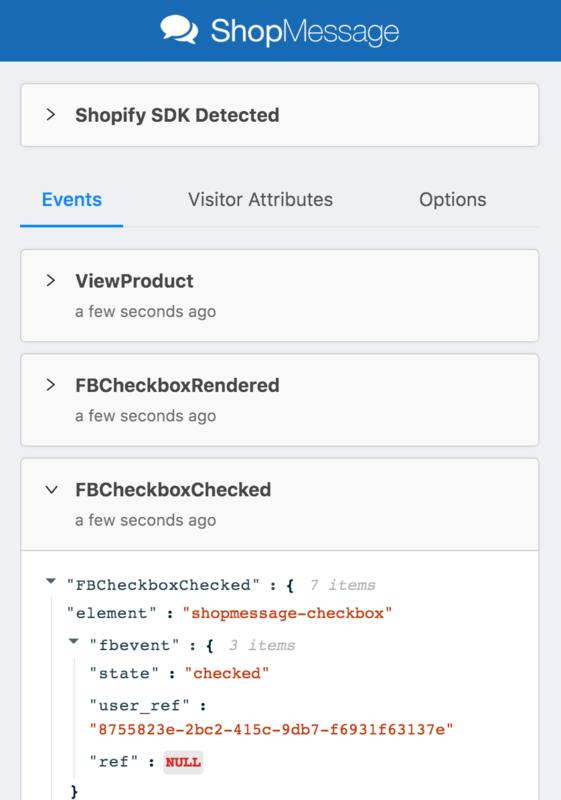 Use the ShopMessage Integration Helper Chrome Extension to view events and send preview messages as you browse your site. 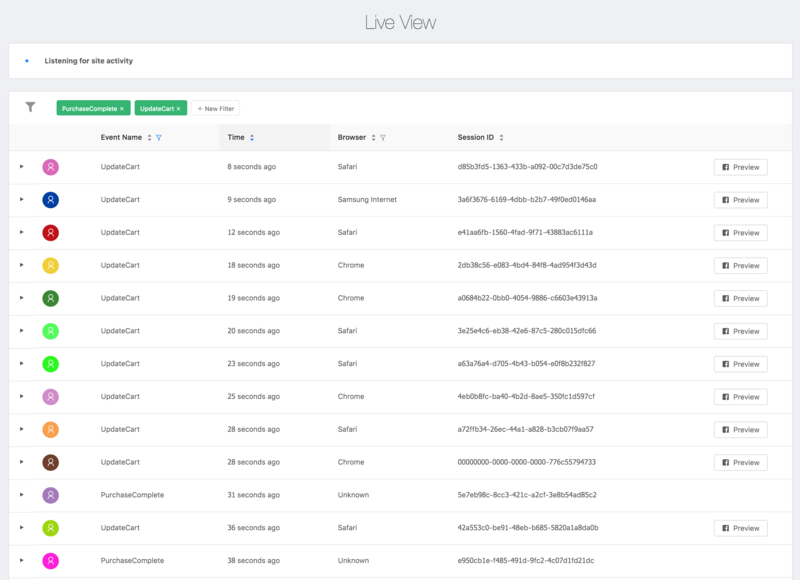 Your dashboard now contains a Live View of all the events coming in. For the UpdateCart events, you can also trigger a preview message to send to yourself. If the checkbox does not appear on the page, ensure your domain is whitelisted to display the checkbox. You can do this from Settings in your dashboard.